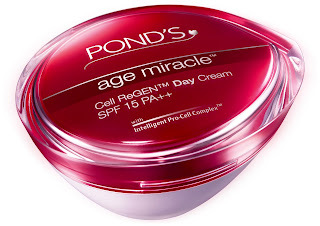 Age Spots Waived- Off With Pond’s Age Miracle look 10 years younger! It’s that time of the year when the weather is confused and the temperature refuses to drop. Whether it’s the sticky, humid air or dry scorching heat, your skin is bound to look toasted by end of this season Over exposure to sun can cause age spots and lead to early signs of aging. To prevent this, your skin needs something more than just umbrellas, sunglasses and scarves to shield it and keep it looking 10 years younger. Besides these external protects, your skin requires products that can repair your skin at an internal level. Keeping your skin healthy requires a combination of ingredients and Retinol is an absolute must have on this list. A true superstar for skincare, here’s how Retinol can help in treating age spots on sun-damaged skin. Age spots as they are termed, have little to do with your actual age. Years of exposure to harmful UV rays makes your skin prone to developing these, which appear on your hands, neck, and face. Alternatively, prolonged exposure to UV rays can expedite the formation age spots at an early age. The good news is that you don’t have to live with this sun-damage. So don’t call off your beach holidays or poolside soirees. Age spots happen at a superficial level and they can be countered by using products containing a decent SPF and Retinol. 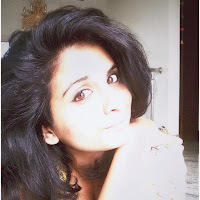 Rub on some Retinol and rediscover your 10 years younger charm. Find it in the Pond’s Age Miracle Range Cell Regen Day cream (50g at Rs.549/-, 35g at Rs.349 & 10g at Rs.110/-). This anti-ager with its Intelligent Pro Cell Complex™ and 6 bio-actives helps renew skin cells so fast, that age simply cannot catch up. Use daily to see truly youthful and radiant skin bloom from within, with visible reduction in fine lines, and age spots. As one of the world’s most trusted skincare brands, Pond’s offers affordable and innovative solutions in a range of categories including cleansing, hydration, anti-aging and whitening. The Pond’s promise is to create products that nurture skin from the inside to transform it into beautiful and radiant skin on the outside. From its establishment in 1846, every single Pond’s product has been created by scientists. Today, the Pond’s Institute is a centre of skincare expertise, technology and innovation, bringing together a global network of scientists working to develop new formulations that bring quality, scientifically formulated beauty solutions to generations of modern, beautiful women around the world.